A former England footballer has experienced the world-famous Spirit of Speyside Whisky Festival for himself – with a visit to a distillery that has taken part in the dram-fest for the first time this year. 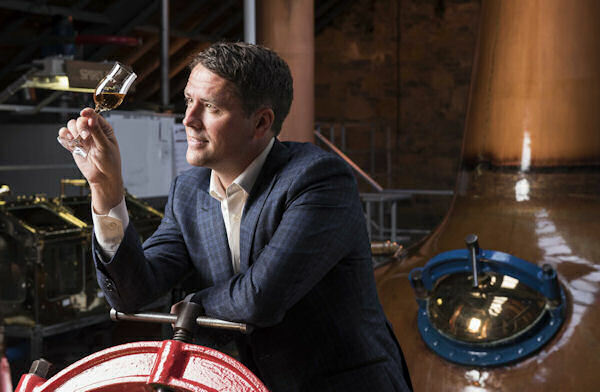 As a global ambassador for SPEY whisky, Michael Owen called in on its spiritual home, Speyside Distillery, on the closing day of the 2015 festival. Since retiring from professional football, the star - who played for Liverpool, Real Madrid, Newcastle United, Manchester United and Stoke City - has been the face of SPEY whisky in the Far East. But while Michael is familiar with the deluxe malt, he is a newcomer to the whisky festival, just like the distillery itself. It is the first year that the small, boutique distillery, has joined in the five day programme, sharing its secret by opening its doors to a series of exclusive tours hosted by distillery manager Sandy Jamieson. 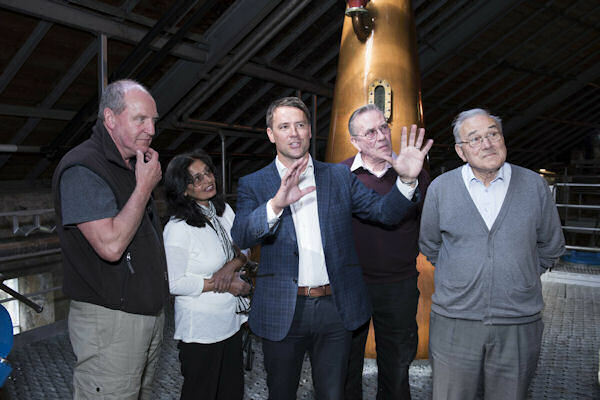 Michael surprised visitors yesterday (Monday, 4th May) by dropping in on the celebrations, during which dozens of whisky lovers have been able to get a rare glimpse behind the scenes of the distillery. He says, “It was great to be able to visit the distillery and be with my SPEY family as they celebrate being part of the Festival for the first time. There has been a real buzz about the distillery today and I have really enjoyed meeting people who have come from all over the world to visit the Festival. Nosings and tastings from four specially selected single malt expressions with varying vintage and cask finishes have been led by Sandy, who has a wealth of experience in the whisky industry. The distillery has also had Aviemore-based Joanna Miller who specialises in print making and screen painting as its artist in residence, and linked up with the nearby Strathspey Steam Railway to offer visitors on-board nosings and tastings served alongside afternoon tea over the festival weekend. 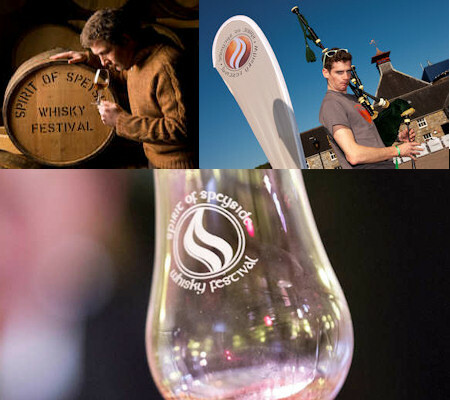 By joining this year’s programme, Speyside Distillery, located near Kingussie and set against the backdrop of the Cairngorm mountain range, has extended the reach of the festival, becoming the most southerly distillery in the region to take part. Spirit of Speyside Whisky festival chairman James Campbell is delighted that Speyside Distilllery has come on board this year and helped expand the mix of events and establish new partnerships. James says: “The continued success and appeal of the festival depends upon being innovative, creative and of course having support right across the industry in Speyside. John Harvey McDonough, CEO of Speyside Distillery, is confident that the distillery’s connections with the festival will develop and grow. John says, “We are thrilled that Michael, a true icon of international football as well as a great family man, is able to visit SPEY while the whisky festival is in full flow. The 16th annual festival drew to a close yesterday (Monday), having featured a packed programme of over 400 events, with music, crafts, food activities running alongside a wide range of distillery tours and tastings. Some distilleries, like Speyside, have been open to the public for the first time in their history. Speyside Distillery, home of the SPEY brand of malt whisky, has been in production since 1990 and is operated by Speyside Distillers Ltd. While Speyside Distillery is not normally open to the public it may be familiar to the public as it appeared in the BBC television series Monarch of the Glen as Lagganmore Distillery.